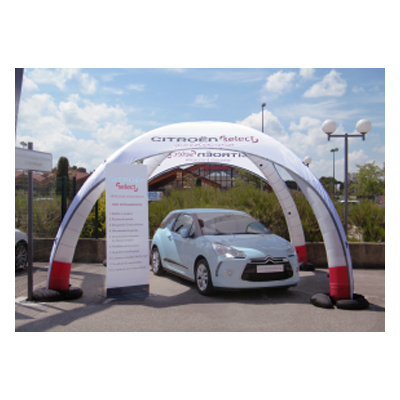 Designed for outdoor exhibiting, inflatable advertising structures are the largest marketing tools you can buy. They can be made in almost any shape or size, giving your company maximum exposure. Giant inflatables are modern alternatives to traditional outdoor display solutions. They provide unmatched durability and longevity. 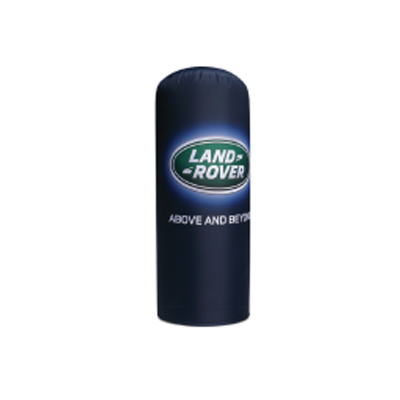 We supply a wide range of inflatable products, including sports inflatables and bespoke inflatables. 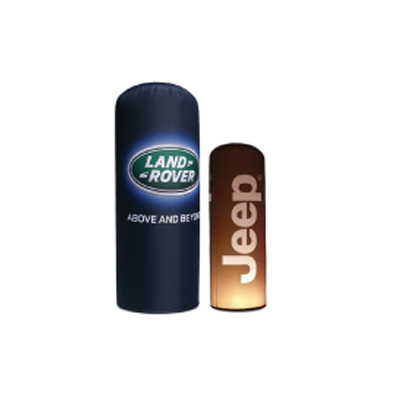 Custom inflatables offer maximum brand impact and can be used again and again, indoors or out. 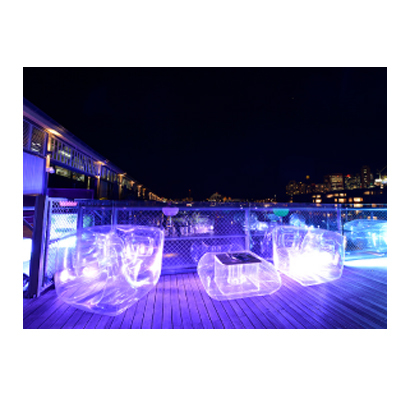 Ideal for hospitality and experiential events, inflatable furniture offers you the opportunity to effortlessly enhance your brand exposure with full surface branding. Combining versatility, usability and brand ability together to create the ultimate event tent solution for any business looking to take their brand to the next level. 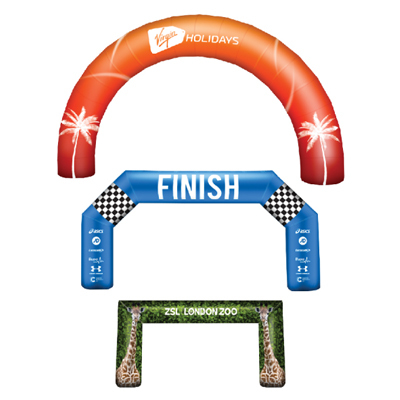 Inflatable arches are versatile structures designed to maximise your brand exposure for outdoor event marketing. 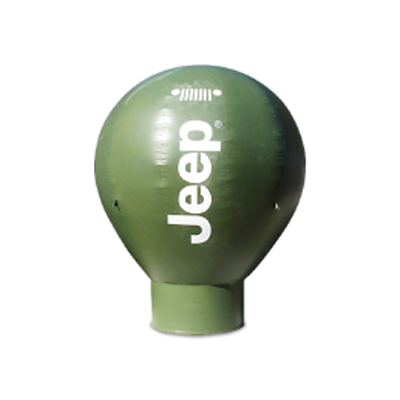 Create maximum brand impact with one of our inflatable advertising columns or balloons. 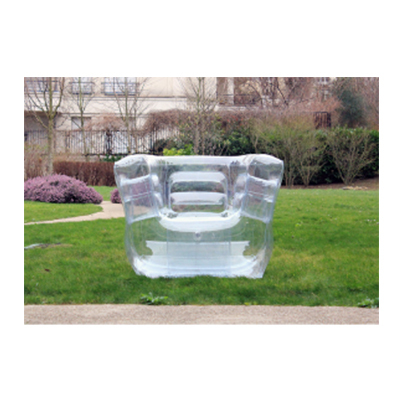 The entire surface of inflatable furniture has the potential to be fully branded, enhancing brand exposure and tying an exhibition display together. 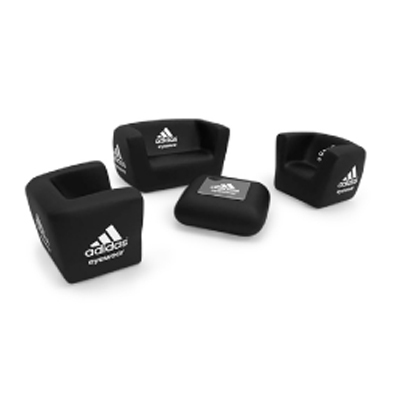 Perfect for hospitality events, experiential marketing events and other indoor or outdoor exhibitions, you can pick from sofas, chairs, stools and tables. 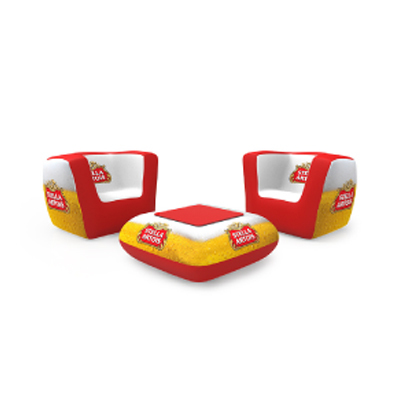 Inflatable furniture provides guests with the chance to sit down and hear about your business whilst giving an extra surface for increased promotional opportunities. Effortlessly inflate the furniture within minutes with an electric pump and deflate it just as fast for easy storage and transportation. The furniture is expertly engineered to be highly resistant to abrasions and is suitable for use in all climates without risk of damage. This makes it ideal for businesses who take their exhibitions to several different events because the furniture is hard-wearing and long-lasting. The one-piece fabric sock simply slides over the top and is printed using dye-sublimation technology for extraordinary vibrancy. The dye-sub printing process means that the fabric can be washed and folded away for easy storage without incurring damage. This is because the ink is injected into the fabric rather than on top, meaning it won’t crack, peel or fade. 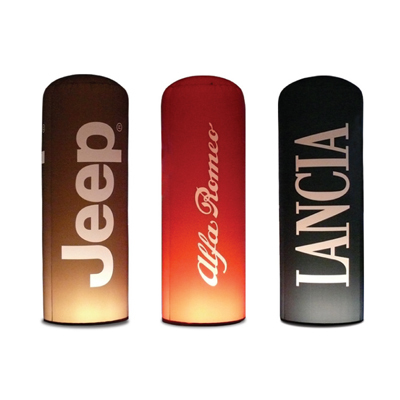 Enhance your inflatable display further with LED lamps to create ambience and added style whilst enticing customers in. Inflatable event tents come in all shapes and size. Whether you’re at exhibiting at a country fair, a motor show, a sporting event or a trade exhibition, inflatable event structures work for all occasions in all weather. 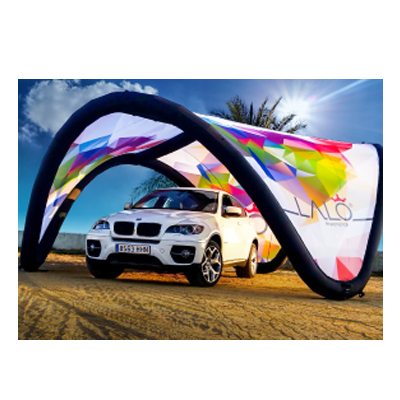 X-GLOO inflatable event tents are fully brandable, offering maximum marketing exposure. The unique block building system enables you to customise your event tent into a bespoke solution for any event by adding a whole host of accessories, including walls, canopies and linking tunnels. Signus ONE marketing pavilion offers a unique appearance which is perfect for experiential marketing events. 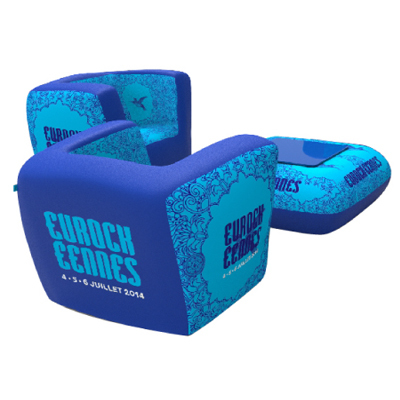 Fully branded interchangeable cloths allow you to effortlessly switch your branding for different events. 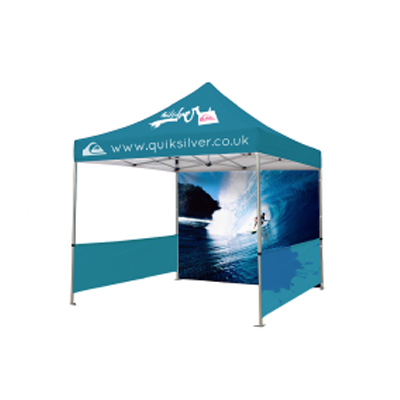 Our pop-up gazebos are fully waterproof, UV resistant, B1 fire retardant certified and offer the potential to be fully branded, giving your brand a 360-degree marketing potential. Printed using dye-sublimation technology, your graphics won’t crack, fade or peel after use, giving you a longer lasting more vibrant display. 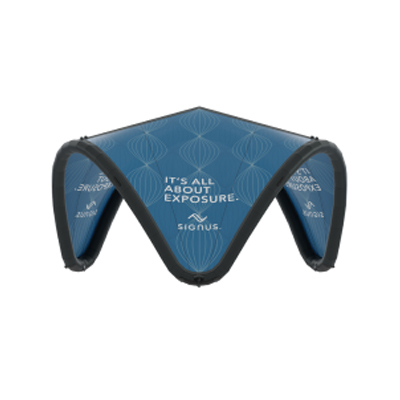 Effortlessly self-built in minutes, all event tents are customisable with a range of accessories that enable you to create a unique event tent solution to your brand. Our event tents pack away to a convenient size that is perfect for storage and hassle-free transportation. 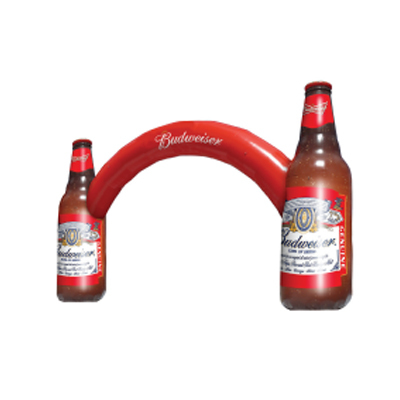 Make an impact with a custom printed inflatable arch. 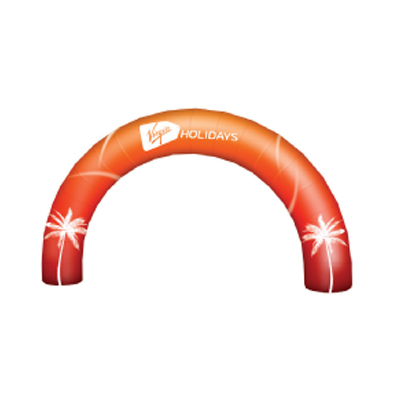 Available in up to 12m, inflatable arches can suit any event and space. 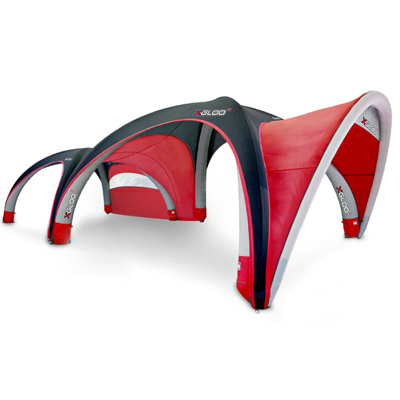 Arches take just minutes assemble with minimal effort and they pack down for neat storage and easy transportation. 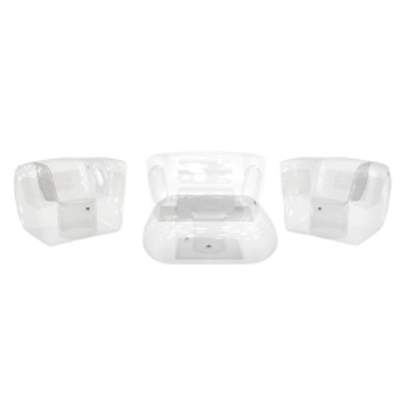 Effortless to assemble, the inflatable arches require constant airflow from a built-in fan. 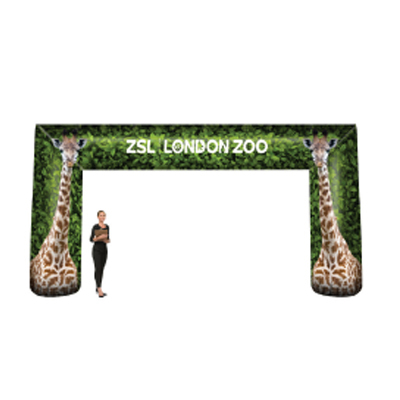 Ideal for country fairs, festivals, sporting events, inflatable start and finishing lines and other large format outdoor events, inflatable arches will give your brand effortless 360-degree promotion. Th major benefit of arches is the fact they have such a large branding space. 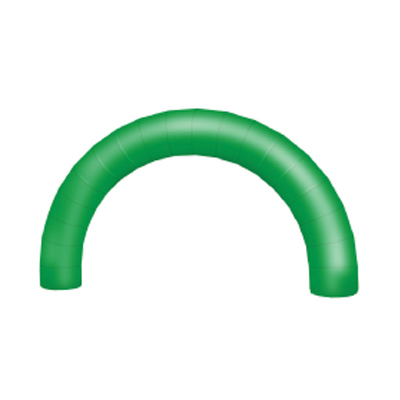 We include a fan, ground pegs, anchoring ropes and a carry case with all inflatable arches as standard at no extra cost. 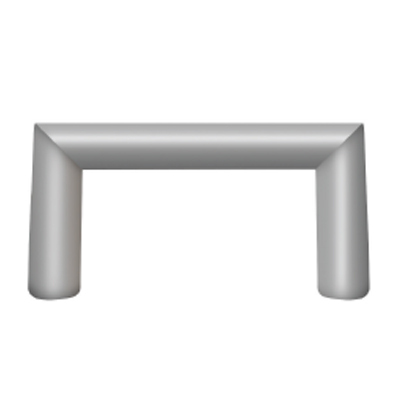 This enables you to use your arch immediately after delivery without having to purchase any extra products. 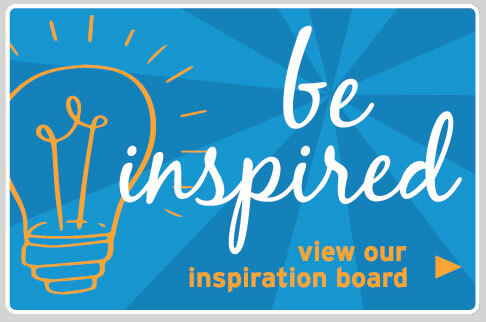 All graphics are printed onto 320g durable PVC for guaranteed longevity and vibrancy. 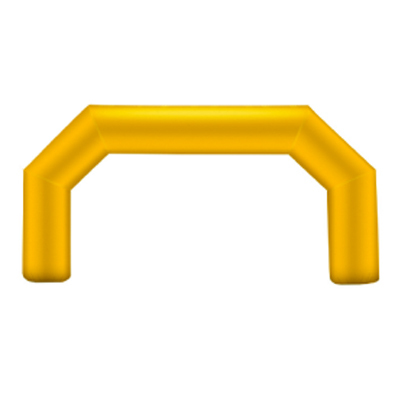 Plain arches are also available in six different colours for events where an arch is essential, but branding is not. 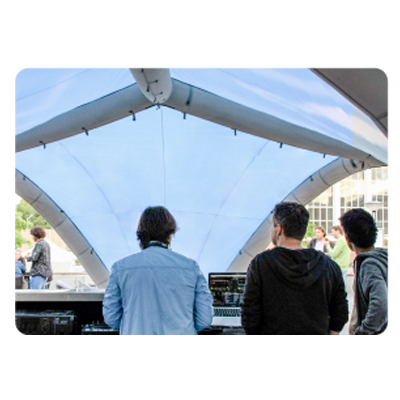 All promotional inflatable event solutions are waterproof, UV resistant and B1 fire certified. 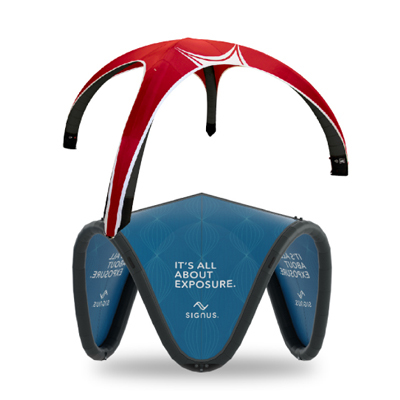 This means they will provide your company with enhanced brand awareness, even in adverse weather conditions. 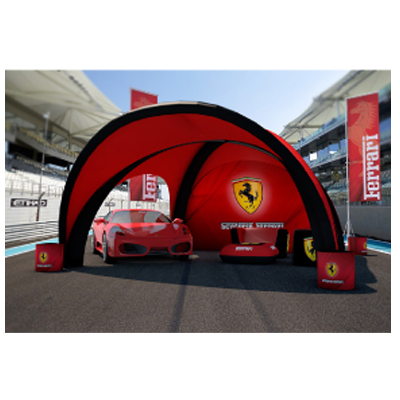 Inflatable advertising structures can be used for trade shows, store openings, sporting events, sale promotions, new product launches and more. Designed to add height and visibility to your brand, inflatable advertising is the ideal solution for large format outdoor event marketing for businesses who want to effortlessly increase their brand awareness. 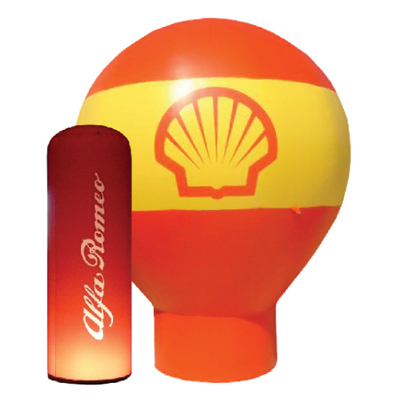 Inflatable advertising products are supplied with an integral fan for constant airflow, ground pegs and anchoring rope for anchoring down your inflatable structure. 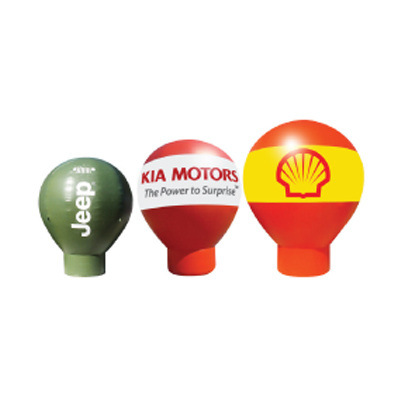 With the potential to be fully branded, advertising balloons are available in 4m, 5m and 6m heights. Alternatively, inflatable columns are available in 2m or 3m. 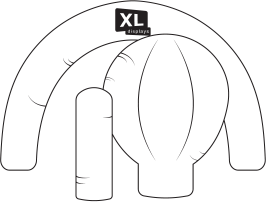 This means there is an inflatable advertising solution to fit any outdoor space or purpose. The large surface area makes inflatable structures a popular choice for businesses who intend to have a presence at events where a high level of footfall is expected. Bespoke shapes and sizes are available on request, simply tell us your vision and watch our graphic design team bring your design to life with a FREE 3D render. Our sales team and graphics team are always on hand to tweak and amend your product in order to ensure it is nothing less than perfect for your company.